Everywhere you look, you are inundated with advertising for various products and services from internet marketers. You can't scroll through Facebook without seeing an ad for some webinar that promises the secret system to make six or seven figures with their signature offering. You want to grow your business and create freedom so these offers are tempting. The scariest part of the internet marketing world today is all the money that is being spent on coaches, courses and digital information products that only deliver hype. It's a great opportunity for online entrepreneurs to grow revenue but there are more than a few bad apples (as in any industry) that are hurting the reputation of the industry in general. 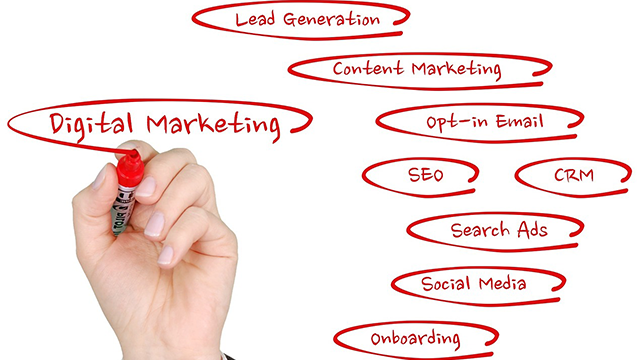 Here are five hard realities of the internet marketing world today. 1. The sales copy is better, leading you to buy things you don't need. Over the years, marketers have gotten better at finding your emotional triggers and creating copy that plays on those triggers. Don't misunderstand what I'm saying. I'm definitely not saying all marketers are shady or that writing to emotional triggers is always wrong. What I am saying is that the copy is designed to make you feel a certain way and take certain actions that will eventually lead to a sale. When making a business decision, you have to keep your emotions out of the equation as much as possible. Look past the copy, and evaluate what the practical takeaways would be and how they would benefit where you are in your business right now. Look at the offer. Study the testimonials. Examine the person – who is teaching, to make sure they know what they're talking about. 2. The premium content doesn't go deep enough. Too much of the premium internet marketing offerings are designed for one thing: to upsell you on the more advanced offering. You buy one thing, and you are constantly being upsold on something else. The content gives you advice, such as create good content, but it doesn't tell you what good content is, how to create it or the most effective ways to market the good content. To get those next steps, you have to join the exclusive next step. If you are thinking about investing in information training, make sure the training goes as deep as you need it to. Don't be afraid to ask questions or talk to others who have taken the training. Make sure you are going to get the type of information and strategies you can use for implementation and growth. 3. You don't get the personal support you need to actually make progress. One of the biggest downfalls of online-based training is that you can't get your questions answered. There are a lot of courses that are simply a talking head video and that's it. When you start implementing and have questions, you don't have the option to get them answered. And, if there is a private group for the program, the marketer isn't usually too active in the group. Don't invest in training where you can't get your questions answered. And believe me, you will have questions. 4. You are pushed to spend beyond what makes you comfortable. A common upsell tactic in internet marketing is when you are convinced that you don't care about your growth and personal development if you aren't willing to spend crazy amounts of money. It's just not true. You can care about your personal development without going broke by buying a certain course, product or investing with a certain coach that you can't afford or whose training is way too advanced for you. Yes, you want to push yourself out of your comfort zone, but only where it makes practical sense. You don't want to spend the rent money in the name of personal development and growth. 5. You already have the resources you need to grow on your own. There is a wealth of free information through videos, podcasts and blogs that have the information and strategies that can help you grow. The reality is that we, as humans, consume too much information. You probably have more knowledge about a topic than you realize. Use what is available for free. When you hit a wall, think about what investment makes sense to get you to the next level. Before you spend money on a coach or a course, make sure you have thoroughly done your research. Make sure you are in a position to benefit from the training. There are many great investments that will be good for your business, but only after you reach a certain level. Don't be fooled by sales copy that makes it seem like you need to spend money right now. Know yourself, and know your business. I can already hear some of the feedback from some marketers that are going to read this. Yes, many people do invest in training, then do nothing with it. Sometimes the problem is that people don't take action. I get that. But, what I am talking about here is the people, who do want to take action but are misled. It's better for all involved if you thoroughly research and make an informed decision.